I don't have much knowledge in mechanical design or pneumatic systems. What should be the Wall thickness of Cylinder? It should safely handle Maximum pressure that might arise. I'm thinking about making the cylinder using a 100 x 5.75 mm Aluminium Pipe and End caps from Aluminum Rods with wall thickness of 10 mm. Would this be enough? Should I give more thickness for End caps than cylinder? 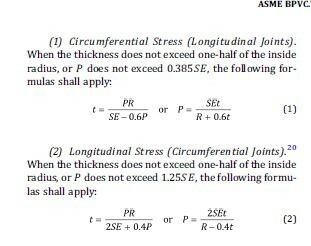 How to find the maximum pressure rating of the cylinder if material, Wall thickness and diameter are known? Actually I want the capacity to be 3L or more. I already bought 100*6mm Aluminium pipe and 5" Aluminium Rod to make end caps?? Wet clay is thixotropic. The pressure needed to extrude will depend on the water content and the exit pipe diameter. Are you trying to do some 3D printing? I'm trying to 3d printing.